Basketball, synchronised swimming, taekwondo, boxing, archery and hockey are the big winners in UK Sport’s Olympic 2012 funding programme. All six have received sizeable increases in their budgets ahead of London, with basketball getting a huge 136% increase, up from £3.7m to £8.7m. Rowing is now Britain’s best funded Olympic sport, getting £27.5m of the £304m pot available. The big losers include shooting, table tennis, handball and fencing. The shortfall would have been greater had the government not found an additional £29m of funding on Tuesday. Culture secretary Andy Burnham insisted that the extra cash meant that Britain’s Olympians had “certainty” as they prepared for the London Games. UK Sport, which handles budgets for Britain’s Olympians and Paralympians, had been allocated £600m over six years for elite sports, with £300m coming from the government, £200m from the Lottery and £100m from the private sector. 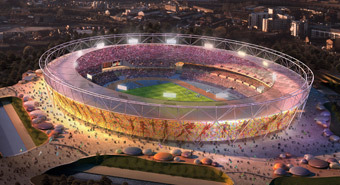 But with a global financial crisis in full swing, no money was forthcoming from businesses, leaving UK Sport with the prospect of reducing the number of athletes, and perhaps sports, it funded ahead of the London Games. Burnham remains confident of being able to tease money out of the private sector to help athletes prepare for London. “Sport is such a great thing to invest in, even in difficult economic times,” he said. “It’s not frivolous spending in any way, shape or form. This is money that brings real benefit in terms of greater activity in the population and real joy, real happiness when we see our national team do well. Previous PostWhat to do with the little ones?